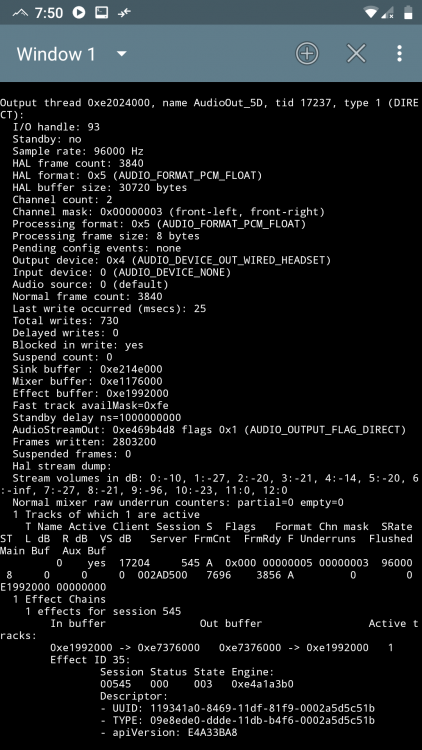 @maxmp hi sir, Poweramp hi-res output for headset already work on pie since last updated (build 808), it can route to 24bit 96khz / 192khz in my redmi note 4 on pie, but when i check using terminal emulator with command "dumpsys media.audio_flinger" it show true 96khz, but bit depth is only show PCM_FLOAT not 24bit packed like usually on oreo or nougat. I realize this fix was so it didn't show "artist" and "album artist" tag side by side but feel like this option still isn't working right. It only shows the preferred tag when looking at songs and not when looking at an album. If I go to "albums" or "artists" you still see the "artist" tag until you actually click on the album to see the songs or click on "all artist songs". Please bring back the mouse support in Library view mode. Thanks for the update... I love this program. Is there any way to make the "Album Artist" tag override the "Artist" tags in "Artist" view? For example, I have "A Star Is Born" Soundtrack by "Lady Gaga & Bradley Cooper". Each song is tagged with different artists, "Cast", "Lady Gaga", etc. I would prefer to have all the songs under artist "Lady Gaga & Bradley Cooper", is there any way to do that without re-editing the tags? Did you try to activate "Album Artists" in "List Options" in the library and use that ? Myself I cannot check whether it works because my album artists tags are always set to artist. @Dicky Herlambang in terms of output bit depth, both float and 24bit packed are the same (the only difference for output is lack of dithering or unknown dithering for floats). @Absinthequ album artist is shown for tracks (in any category). The albums category itself bound to usual artists at the moment - this is matter of category organization, not displaying, so it can’t be changed easily. 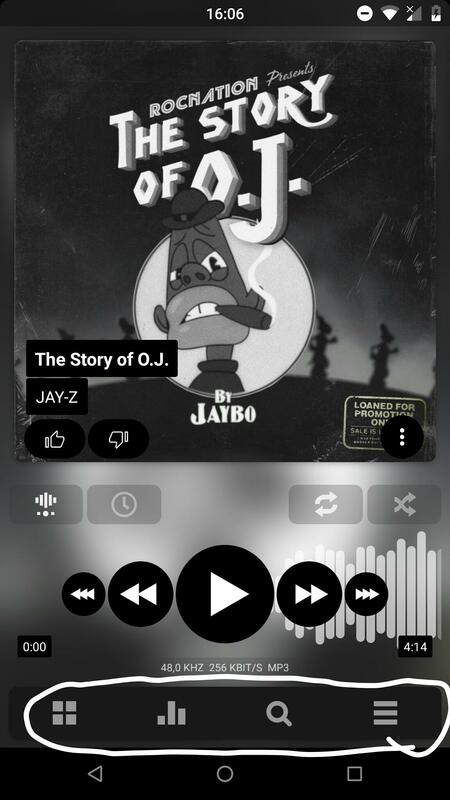 There is a separate Album Artist category (enabled via library 3-dots menu). Hi, I've encountered two issues in this build. I'm on Android 8, HTC 10. Stock OS. 1. I am still experiencing too low volume with High Res output, even with DVC off it still seems a bit too low. Actually, not a bit, very different! Like at without high res output, with DVC on, volume is a bit below 50%, compared to High Res DVC off, I need to go up to 75-80% to even get close. DVC on I need to turn volume up to roughly 95%. All which turn into a problem if I start anything else than Poweramp, where my eardrums are blown away! My current workaround is to up the Replay Gain preamp and system volume sufficiently. All my songs have RG info. However the next sound beep when you press the next song button on the headset is very loud as a result. However, this brings me to the next problem. Yes, I tested that, it doesn't seem to affect the artist listings. 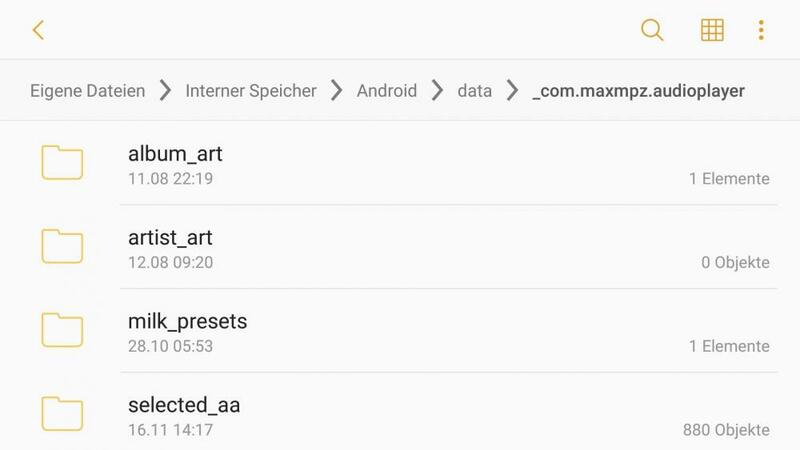 @maxmp can you add an animation/fade effect when typing on the equalizer? We lost all the detail in the sorting. It's not until we click on an album that it shows us the tags we want to see for individual tracks. If you go to "Album Artists" category or "Albums by Artist", then it separates these albums as completely different artists and are spread far apart. So these categories are unusable to me in most instances. Maybe this isn't an easy fix, but I wanted explain with an example of how this is bothersome and why we liked it how it was in V2 so much. V3 is so much better of a player and that is why we complain so much. We can't go back and we can't switch to a new player. Only minor details keeping it from being perfect for some of us. I think the option should be Album Artist tag should always be shown EVERYWHERE if exists. You can still group albums by "artist" tag, but they show "album artist" tag when looking at the list of albums under that artist. If that's possible. Thank you @maxmp for your hard work and consideration of our requests. Android tablet 4.4 version can not be installed, repair it. Poweramp V3 requires Android 5.0 Lollipop or higher. But still got some problems. It can't delete files. !! Every time i want to delete a file, ask for Sd card Grant access. And i did so, but still can't delete. Again the song appears. I did the circle many times, but the problem still there. !! Can u plz solve this? I am using Oppo F1s, Os android 5.1. Anyway, tnx again. It's staged rollout, staged both by country and users percentage. Screenshots, etc. will be updated when build is fully rolled out. Some tweaks were done for 5.0 Android + permissions in next build. Still, some ROMs have bug in permission system, not allowing deletion from sdcards (e.g. Android 5.0 Meizu Flyme ROMs). What version supports Android 4.4 automotive CARPAD? Yes, that (V2) should work. Tnx sir for replying so soon.Can it be solved in next update? If my phn Rom is ok? Coz, till build 709, everything was ok, but after 709 no updates were working but at last built 808 got me back, with this permission grant problem. 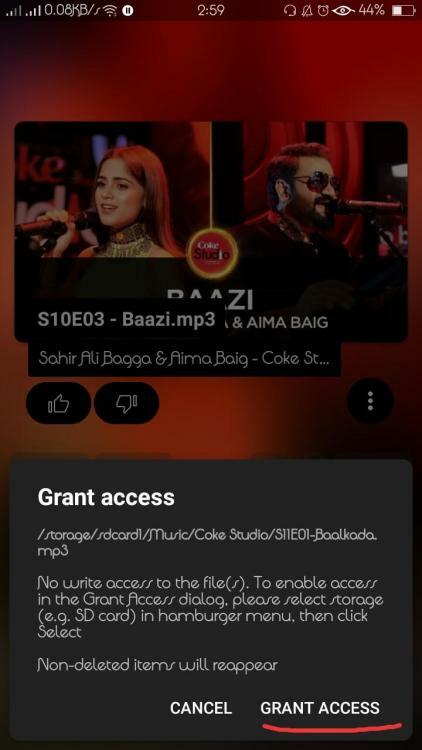 I think it can be solved by you guys, coz it didn't happen before, i did delete songs freely and fairly by this option, so i loved this option. Looking forward to solve this problem. Tnx guys.